The Toasts are in town! Just for the weekend. Steve is mostly working. Brad is mostly working. 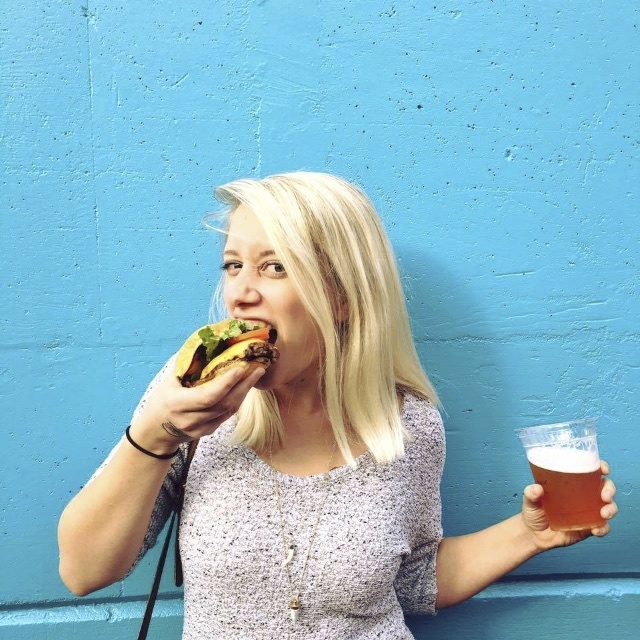 I, too, am mostly working. But Sarah is here to relax. And in the hours that I am not working, I will be relaxing and partying with her. We are used to making our crazy schedules work. Steve got in Wednesday night. 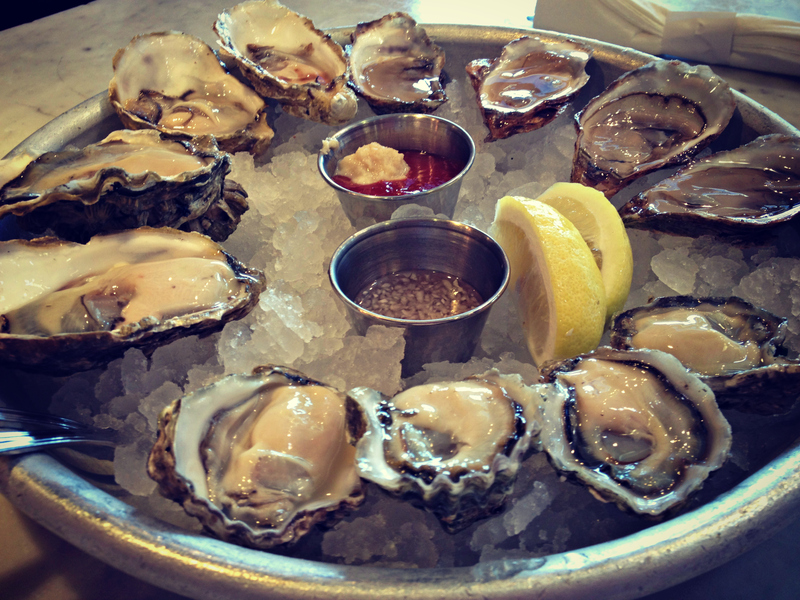 Brad wanted to make a special dinner for him, so after the market we stopped for oysters and checked out Santa Monica Seafood. But just so you know, we don’t ever use the word Octopus. In Spanish Octopus is Pulpo. 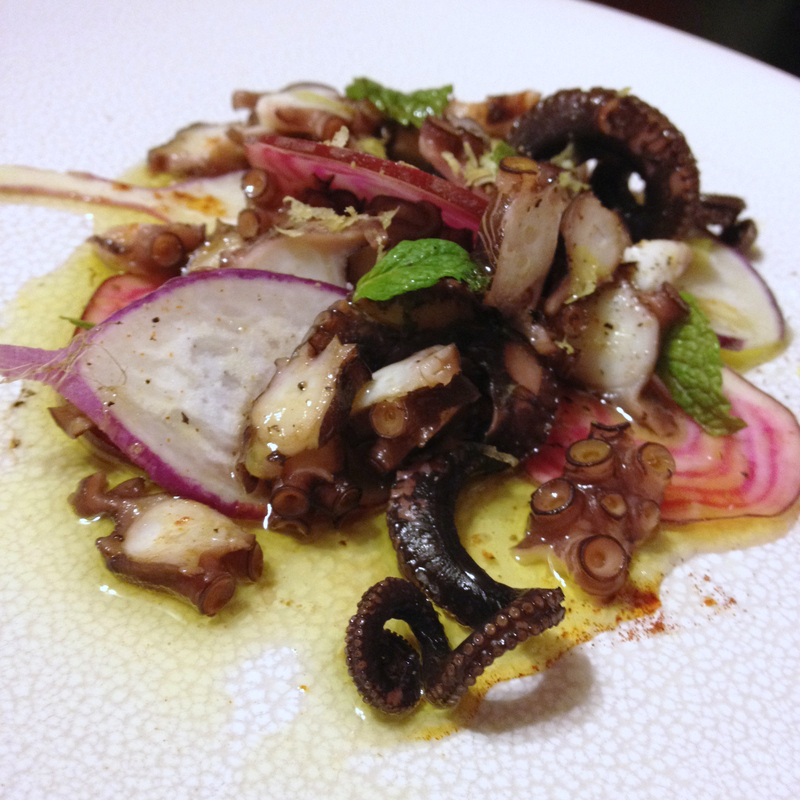 And Pulpo is way more fun to say than Octopus, so that is what we call it. 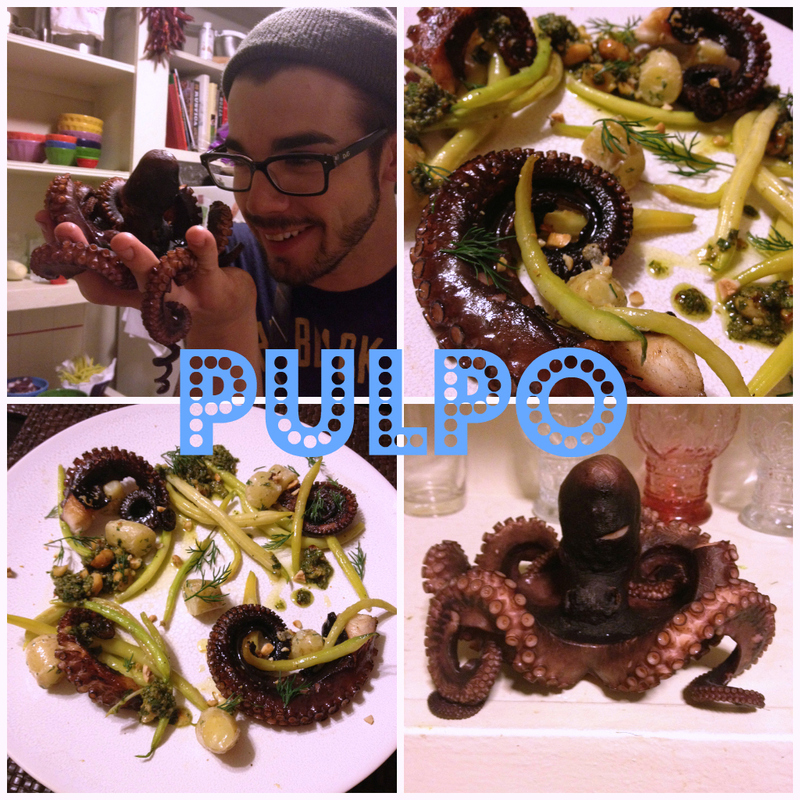 Brad created a beautiful Pulpo dinner for the three of us Wednesday night. Pulpo with wax beans, dill aioli roasted potatoes, and pesto. It was much later than Steven (and the rest of the world) is used to eating dinner, but it was so darn delicious. Fast forward to last night… Sarah gets into town. We had leftover Pulpo in the refrigerator. 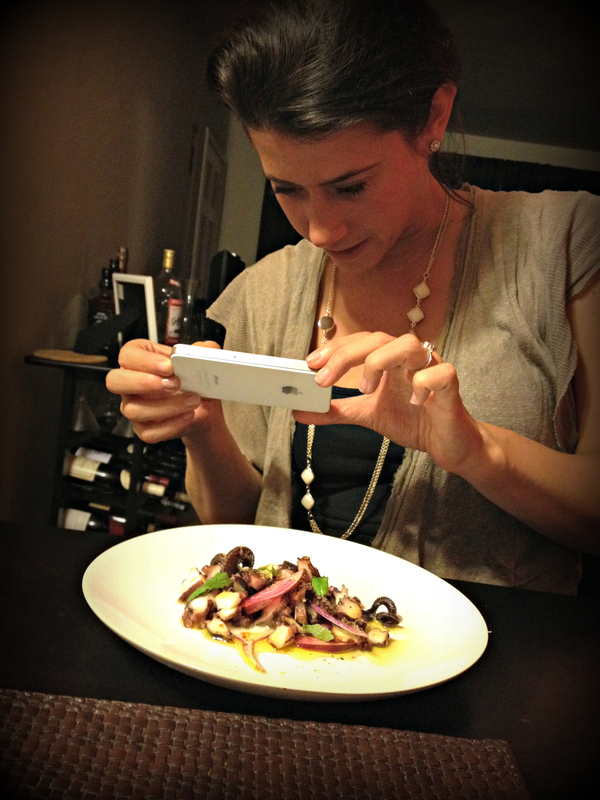 Brad couldn’t let Sarah miss out on the Pulpo magic. And we were all a little hungry. So around 1AM we all hung around the dining room table, Sarah and I had a glass (or three) of wine, and Brad whipped up just a little something just so Sarah didn’t feel left out. Where even 1AM snacks are so delicious you can’t help but take pictures of them.